Gold Plus Stable’s Jeram Village, caught the eye with a dashing workout at Selangor Turf Club today (Tuesday). Taken out by leading Jockey S Ruzaini, the six-year-old by O’Reailly did a trot on the first lap and then strode out fluently over 600m in 37.3 seconds on a tight bit. 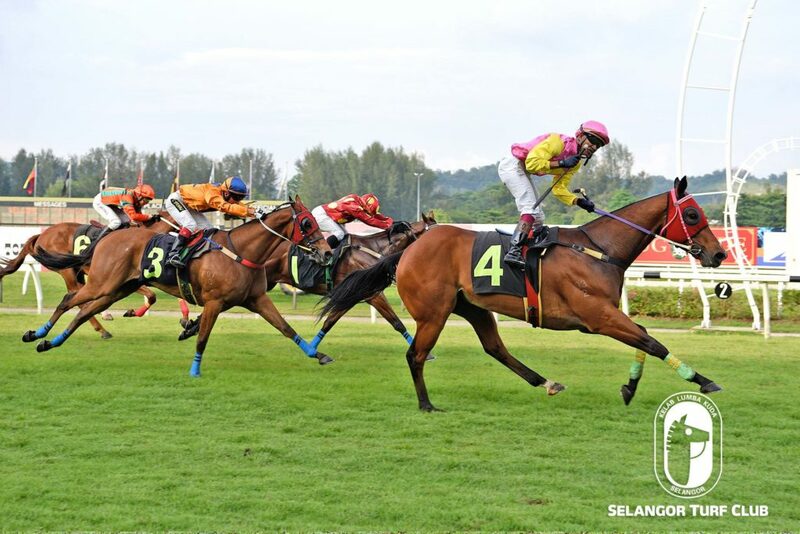 Last outing, Jeram Village with Jockey M Ganesh on board, was slightly slow at the start, but made up ground quickly and hit the front at the home bend but found stablemate Condado shade better to finish second in a Class 3 event over 1200m early this month. Trained by P S Kumaram, Jeram Village looks fit to make amends in a Class 3 event over 1200m on Sunday. Class 3 – 1200m (Card 2): Splendour (W Faizal) did a trot and galloped keenly in 37 seconds. Class 4 – A – 1200m (Card 4): Spin Fire (L Sofhan) did a trot and strode out impressively in 38 seconds. Class 4 – B – 1200m (Card 6): Aussie Eagle did a trot and canter and then strode out smartly in 37.3 seconds. Class Open Maiden – 1200m (Card 11): Dune Saga (J Low) did a trot and then cantered strongly. Class 5 – A – 1400m (Card 9): Dayflirt (J Mallyon) did a trot and then galloped in 41.5 seconds on a tight rein.